Give your hair a fuller look with the HairMax Premium laser comb. The Photo-Biostimulation process used in this Lexington laser comb improves the appearance of hair, making them full of life and stronger. 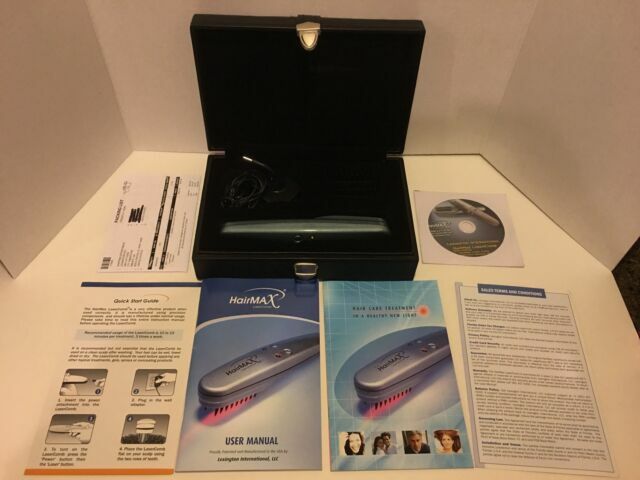 The laser technology of this HairMax hair care works upon your hair follicles. nourishing your hair from the roots. As per the makers, the HairMax Premium laser comb is clinically proven to show positive effects for both men and women. This Lexington laser comb offers an easy usage, as you just need to switch on the power button, then the laser button and simply glide through your hair. Use this HairMax hair care10 to 15 minutes, thrice a week and achieve shinier and thicker looking hair. Works perfectly. Hopes it helps my hair concerns. Has a high rate of success for 90% of people who have used it Hope it works for me. It does work, but you need patience! It works for your hair and also helps with disorders of the nails. I have used this for four months now. I feel my scalp being itchy which is new hair coming in, I also use this for my nails. I have psoriasis of the nails. I use this every night and my nails look so much better. Not sure how it works but it does for me. I have been using the comb every other day for two weeks. It is really stimulating my scalp. I went to a hair dresser who used something like this before on my scalp at least 20 years ago. She said that it would make my hair grow faster. Hope I see some results this time too.